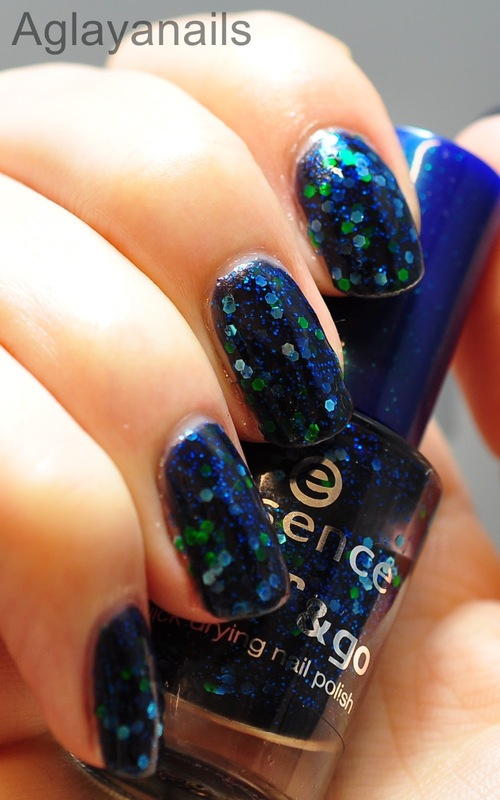 Today's polish is Essence Blue Addicted. 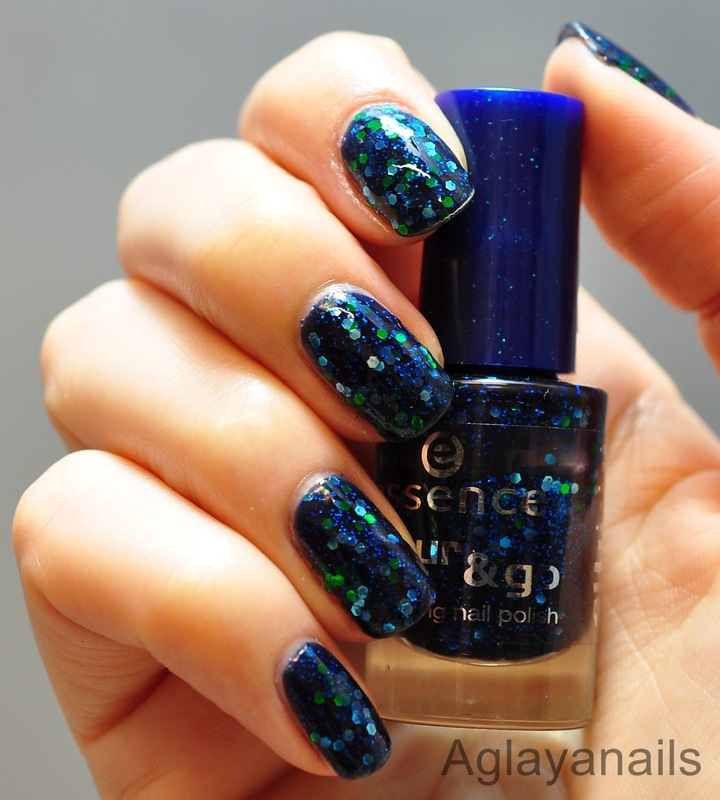 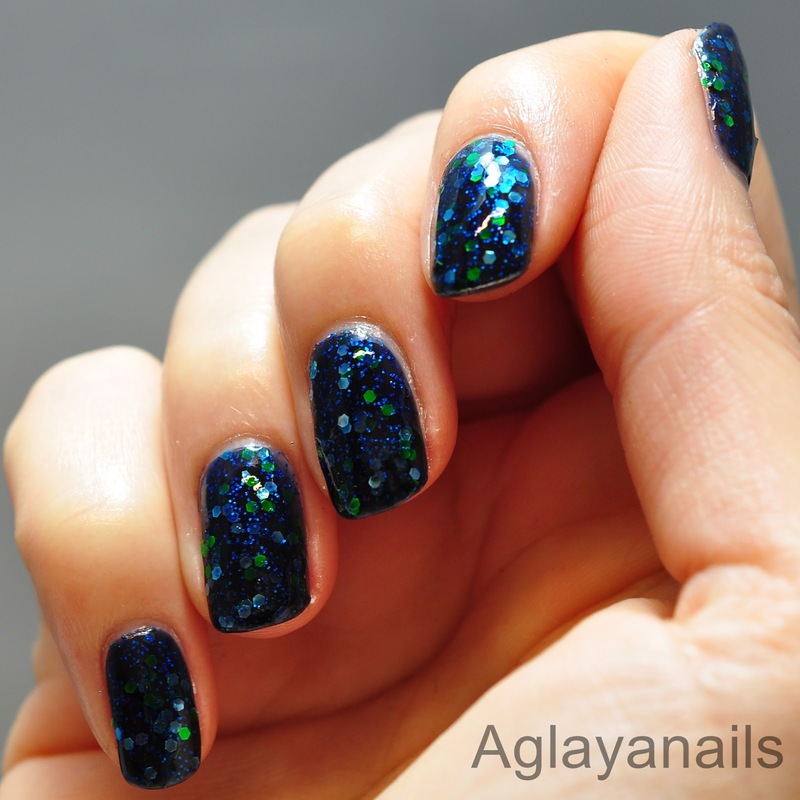 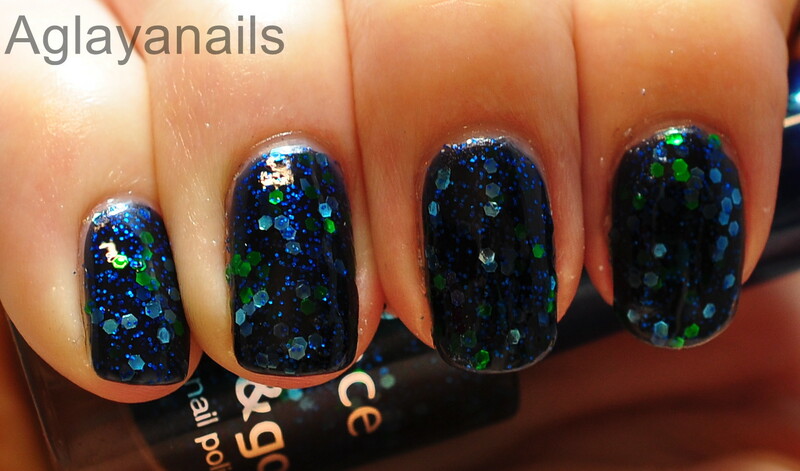 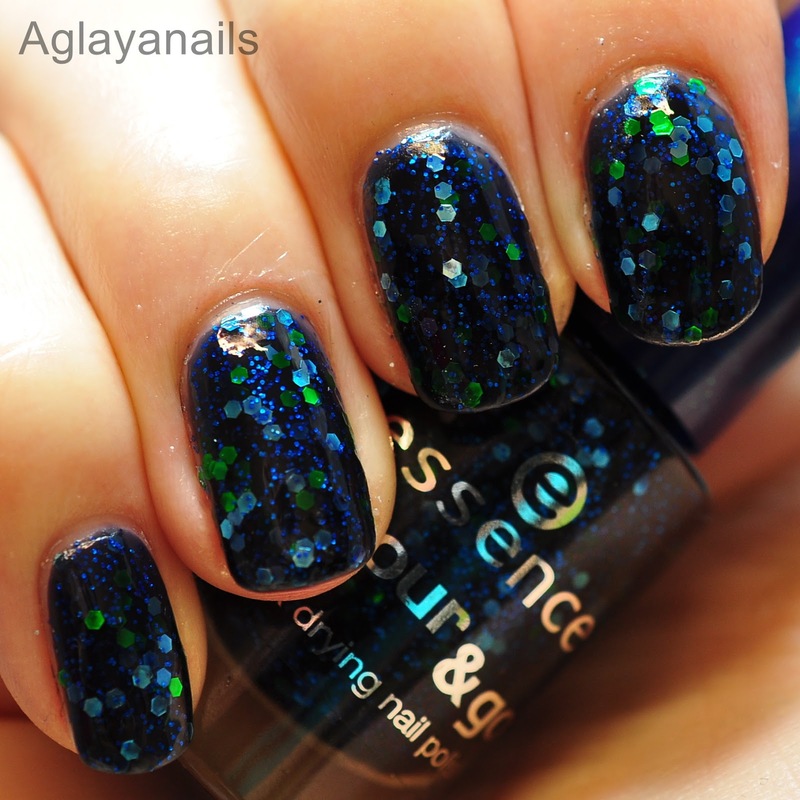 Blue Addicted has a dark blue jelly base with aqua and green hex glitters and blue microglitter. 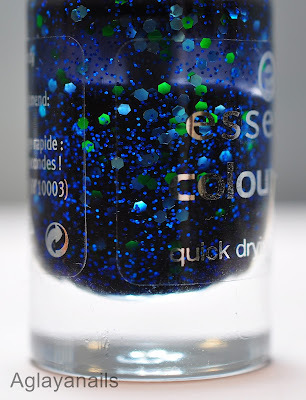 My bottle is quite old, they haven't used this design for years now, so the three coats I used dried quite gritty and the polis was somewhat gloopy (You can see in the bottle shot, that about one third of the poish is gone, but I've only used it once. A lot of it must have evaporated over the years). 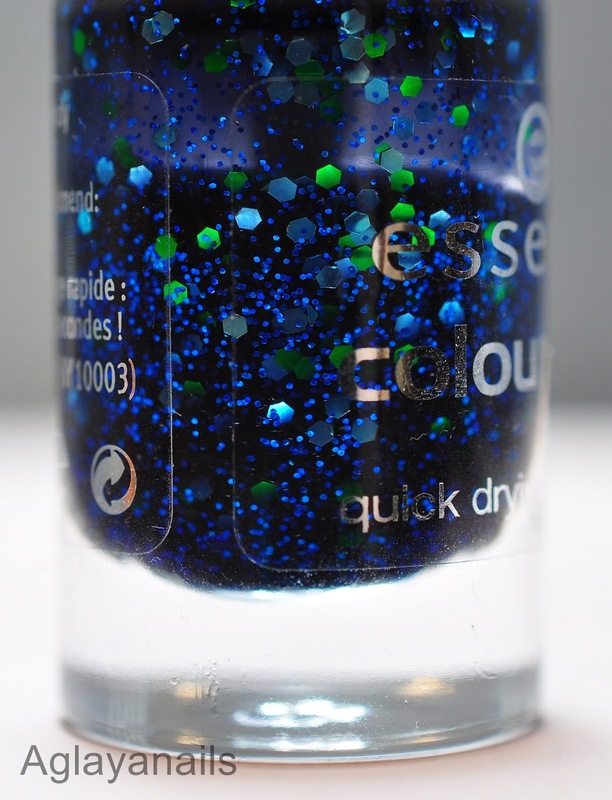 I can't promise it, but I guess a newer bottle might be smoother. I added two coats of KBShimmer Clearly On Top provided a smooth finish.